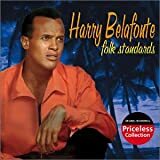 Harry Belafonte (born Harold George Bellanfanti Jr.; March 1, 1927) is a Jamaican-American singer, songwriter, actor, and social activist. One of the most successful Jamaican-American pop stars in history, he was dubbed the "King of Calypso" for popularizing the Caribbean musical style (originating in Trinidad & Tobago) with an international audience in the 1950s. His breakthrough album Calypso (1956) is the first million-selling LP by a single artist. Belafonte is perhaps best known for singing "The Banana Boat Song", with its signature lyric "Day-O". He has recorded in many genres, including blues, folk, gospel, show tunes, and American standards. He has also starred in several films, most notably in Otto Preminger's hit musical Carmen Jones (1954), Island in the Sun (1957), and Robert Wise's Odds Against Tomorrow (1959).